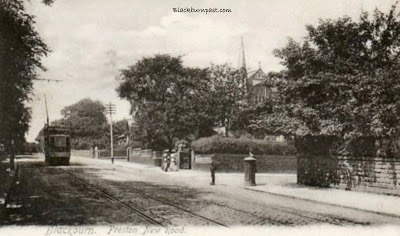 Another three images of Preston New Road. I'm not 100% certain which part of the road this is, but I think that is Granville Road on the right, where the people are standing. 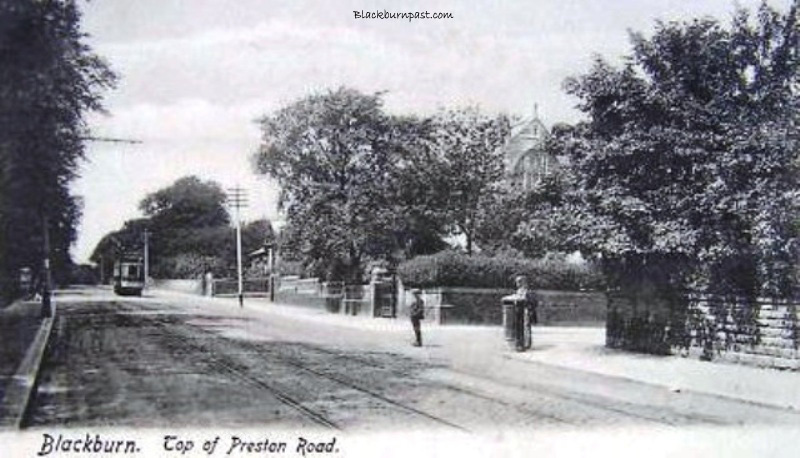 I can't think of any other part of the road, where it levels out like this and it does look like Billinge End / Revidge Road crossroads in the far distance. I was disagreeing with you Anonymous, but after studying the photo again, I think you may be correct. We own the property on the right hand corner where the post box is and this is the corner of st silas's road. I would like to obtain a print of the photos and frame to put on the wall in our property but do you know how I could obtain prints or copies please. 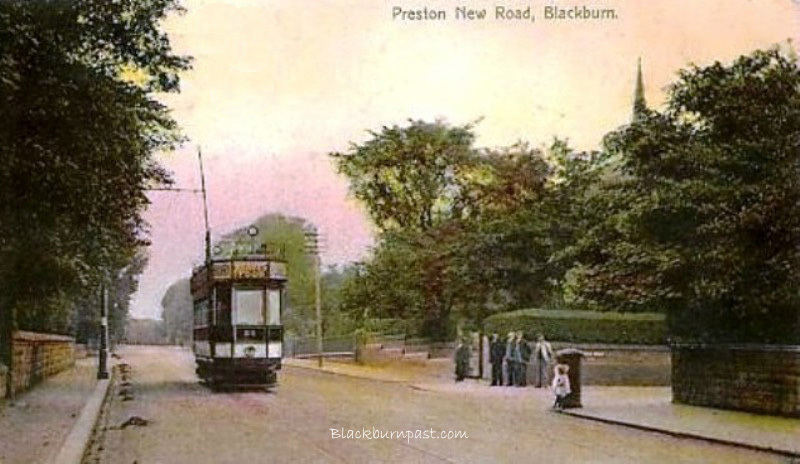 The majority of Blackburn postcards that I had, I sold in an auction a few years ago after I had scanned them all. I still have these images on my computer, or on a memory stick, but the quality is only as good (or as bad) as they appear above. If you would still like to use them, then by all means print them off. If you can't print them off the site, then I could send you the images via e-mail, but would need your e-mail address to do so. Your e-mail address will not be published on here or visible, as all comments have to be moderated before appearing on screen. There will only be me that sees it. I have replaced these pics with slightly better versions and added a third. It's a variation of the other black & white one.